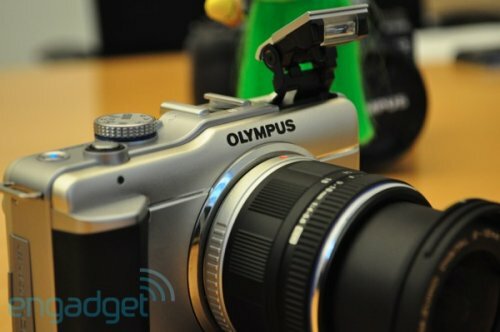 Olympus has expanded their PEN line of cameras. The latest is the E-PL1, which comes in a compact body that packs in a 12.3 megapixel sensor, HD movie recording, a 2.7 inch LCD, image stabilization and a bundled ED 14-42mm f3.5/5.6 zoom lens. And yes, 720p video recording. There’s also the addition of the pop-up flash. You will have to wait until next month to get your hands on it though. With all these features this compact PEN camera is priced at $600. Hasselblad is known for its high quality digital cameras with high price tags, and the H4D-40 DSLR is the latest, featuring faster capture rates, higher ISO ratings, up to 4 min exposure times and the new True Focus feature. True Focus is a refinement of Hasselblad’s Auto Focus system which allows you to make accurate near field composing easily. 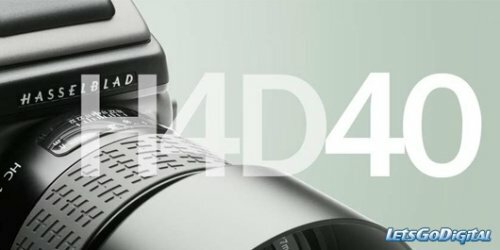 The Hasselblad H4D-40 will arrive on the worldwide scene for 13,995 Euros. For that price you get the camera body, viewfinder and 80mm lens. 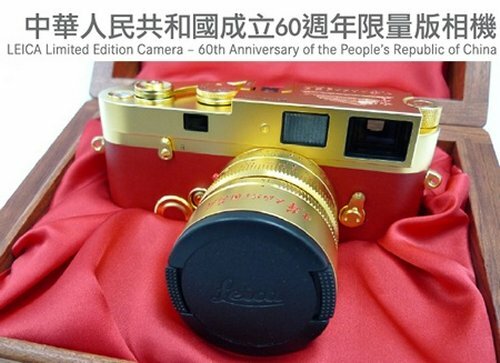 2009 marked the 60th anniversary of the People’s Republic of China and so Leica has a little gift to commemorate the event. The MP Golden Camera Limited Edition. The camera comes with a Leica Summilux-M 50mm f/1.4 Gold lens. In fact both the camera and lens are coated in 24k gold, and the body is dressed in Leica Red Box calf leather. Only 60 of these will be available, so if you want one you better hurry. Polaroid has been busy with several new products. The most interesting is the PIC 1000, the new Polaroid OneStep film camera. 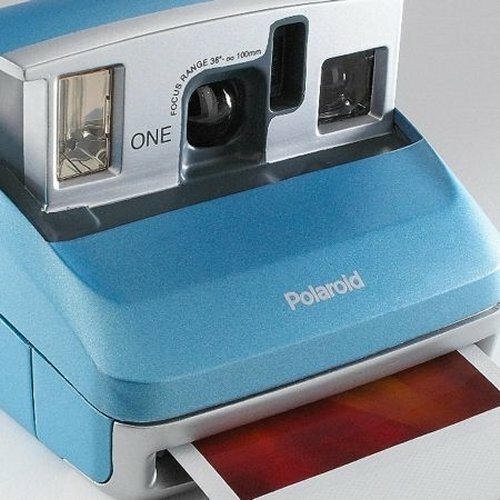 Just like its predecessor, it uses Polaroid Color 600 Instant Film. It will be available at national retailers in 2010. The newest Zink-enabled camera, the Instant Digital Camera, features 12 megapixels and 3 x 4-inch prints.Then there are a handful of LCD TVs from 42 to 65 inches in size with the Polaroid name. Polaroid is back big time. I have always wanted to learn to scuba dive. The chances of me ever getting my wife under water after seeing that flick Open Water is slim to none though. 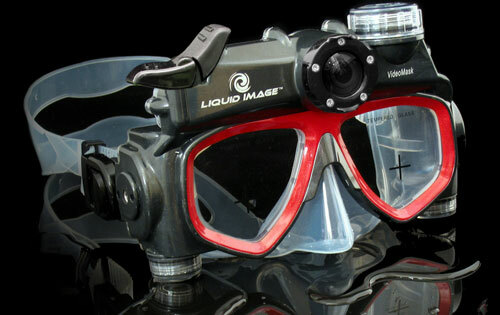 The best I can hope for is that someone I know goes diving and uses a mask like the Liquid Image Model 312 mask. The mask has a video camera built in that records at 30 fps in 720 x 480 resolution. 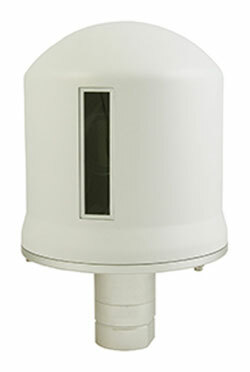 The camera can also shoot 5MP still images and operates down to a depth of 65 feet. The buttons are large and designed to be used with gloves. Nothing makes you feel dumber than encountering a large word you don’t understand. You could type it into google and find out, but that’s too much work. Unichal’s Dixau DX3 digital dictionary saves you all that trouble. It will take a picture of the word with a pop-up digital camera and automatically translate it. Big words will never slow you down again. And hey, you are learning something new. 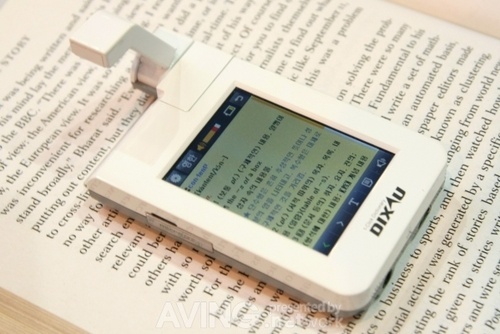 The Dixau DX3 also features text-to-speech to help you with pronunciation, a microSD slot card, and stylus pen support. This looks more like some device that would give Geordi LaForge light therapy than a camera. It was developed at the Nagoya Institute of Technology has been certified by Guinness World Records as sporting the most lenses in the world. 158 lenses that is. It was built over six months, to capture images of a swaying flame from as many angles as possible. 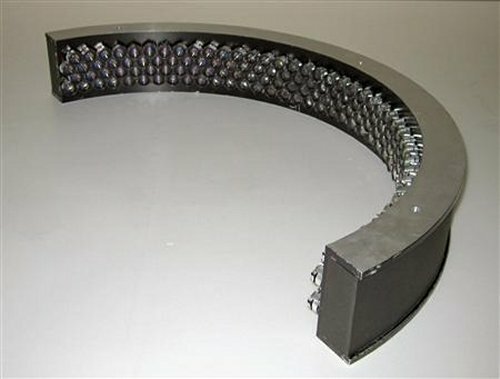 The lenses are in four rows on the body of the device, which is 7.2cm high and 47cm in diameter. Each lens costs $2.10. 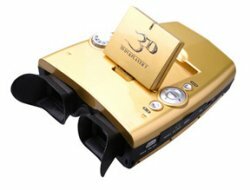 The 3Dinlife X5 Collection Version DV Player comes in 24K gold plate, with a laser etched signature and a VIP Gold Card. Wow, it must be so cool being in the rich spoiled brats club. It features an MPEG-4 recording twin lens 3D camera, with 3 megapixel JPG stills image capture. There’s also a USB interface for downloading and a rechargeable battery that will deliver 2 hours of recording onto SD/MMC memory cards. Nothing on price, but you can bet it will be expensive. I love video games, but I’m not into photography. That probably describes many of us. This might be just the camera for me. Something that will bridge the gap between games and pictures. It’s from designer Erin Fong and is dubbed the “NOVA DSLR”. The folding handle is obviously great for taking one-handed shots. And hey, it’s shaped kinda sorta like a game controller, so I already know how to use that. 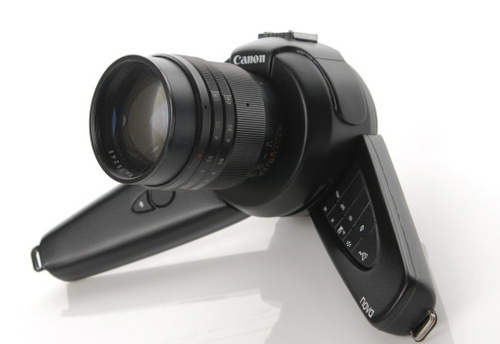 If a Klingon Starship and a camera mated, this is it right here. Look at that design. Those swooping wings. Looks like it could take down a Federation camera-ship. 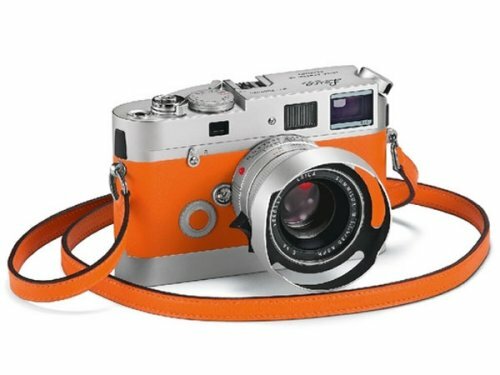 Leica has now confirmed the limited edition Leica M7 Hermes Edition. This is the second collaboration between Leica and Hermes and there will only be 200 of these limited edition Leica M7s produced, 100 will be in orange and 100 in green. Each camera will also feature a special sequential serial number between 001 and 200. All of the control elements of the LEICA M7 Edition ‘Hermès’ have been manufactured exclusively in metal, and the back of the camera is finished in silver chrome. While the red color of the engraved AUTO and flash settings on the shutter speed dial have been replaced by the shade of the camera’s leather. Sure this looks like a toy, but we didn’t just get this camera out of our kids toybox. It’s a fully-functional dSLR. 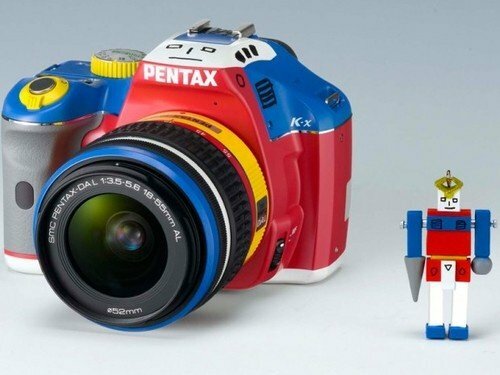 A limited edition Pentax K-x done up in the colors of Japan’s Kore Ja Nai robot. Only 100 Robotic Colors K-x units will be released in Japan starting this November. They will be sold exclusively through Pentax’s online store for $880. Wow. Toy looks, tech price. Just be careful that your preschooler doesn’t get his/her hands on this. There are several makers of webcams that have been producing cams with HD resolutions for a while now. Among the companies are Logitech and Microsoft. For some uses HD resolution may not be enough and for these businesses, a company called Seitz Phototechnik has unveiled the new Roundshot Livecam D2 HD. The camera has the capability of making full 360-degree panoramic video of a scene and can be used by hotels and resorts to show off their location and amenities. The camera has a whopping 66 million pixels and can shoot at night. 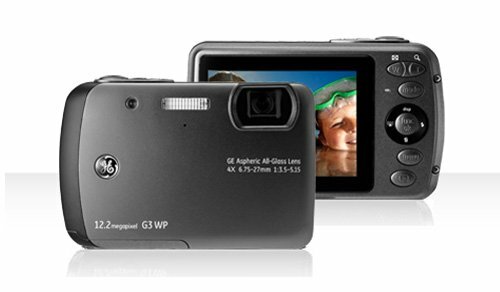 General Imaging has unveiled the G3WP digital camera, the company’s first waterproof point-and-shoot camera. It sports a 12.2-megapixel sensor, 4x optical zoom and 4.5x digital zoom so you can get those shots of sharks and other sea life without having to get too close. Some other features are a 2.7″ LCD display and 116MB of internal memory if you run out of space on your SDHC memory card. There’s also PictBridge connectivity, smile, face and blink detection, image stabilization and automatic red eye reduction. That’s enough for any underwater adventurer. Like to take pictures? Like to punch things? Then this is the camera for you. This camera will make you like Mr T, meaning that when you punch things, you get results. Sucka. 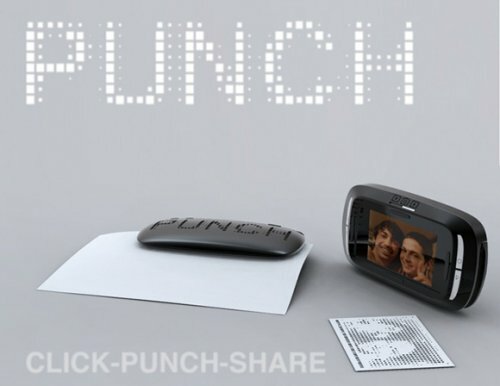 The Punch camera takes regular digital images, but allows its users to punch a rasterized image of their photo. 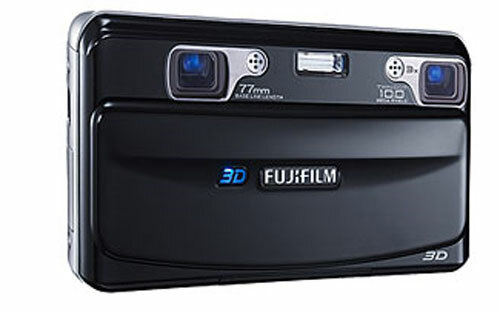 Fujifilm has finally released its Real 3D W1 camera in North America. Previously it had already been available in Japan. If you’ve been following this one then you might remember that the Fujifilm Real 3D W1 camera will merge some sensors and lenses for stereoscopic still captures and video recording. It does standard photos too, at a 10-megapixel resolution, while the 3x optical zoom is available in both 2D and 3D images. Another nice feature is the ability to check out the 3D images without having to wear a pair of 3D nerd glasses.